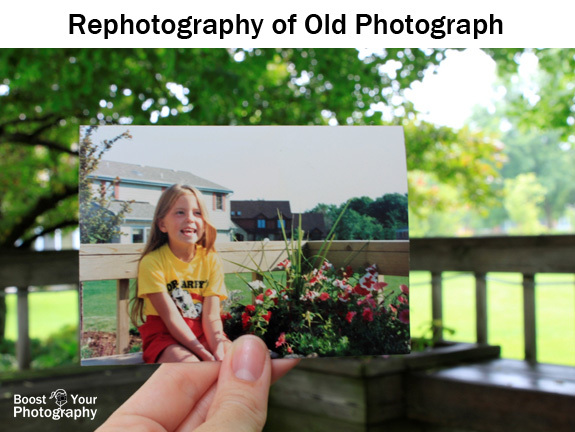 Rephotography is the practice of taking a photograph of the same person, place, or scene over a period of time. In a previous post, I shared tips for seasonal rephotography and how to create a collage of the same scene across all four seasons. In this post, I’ll share a technique for creating a rephotography shot within a single image. Rephotography: Original image from Easter 1988. Rephotographed in June 2011. These shots are powerful and attention-grabbing, with their ability to demonstrate change as well as connectivity between people and across time. This idea of rephotography in a single image was popularized on the web site and Tumblr Dear Photograph and more recently by New York photographer Christopher Moloney, who has been applying the idea to movie stills shot in New York City. The concept is simple, but the execution can be tricky. 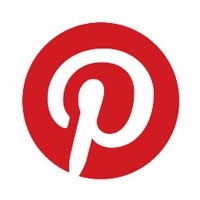 The first step is finding old photographs of an identifiable location that you can revisit. (The series of pictures in this post were all taken at my childhood home.) You also want to establish a visual connection between the original photograph and the modern location. This works best if some element of the original photograph continues outside of the frame and into the modern section. Rephotography: Original image from 1989. Rephotographed in June 2011. 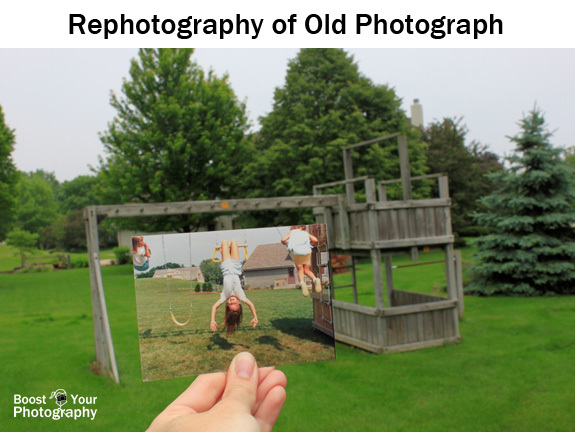 In this rephotography of the swing set, there is a visual connection between the edge of the play structure in the original photograph as it leads into the rest of the play structure today. This type of rephotography is most convincing if you can re-establish the exact same angle and perspective of the original photograph as viewed against the modern location. While the background in the swing set picture does not perfectly align, the huge growth of the trees in the middle ground obscures this misalignment. Rephotography: Original image from September 1988. Rephotographed in June 2011. Rephotography: Original image from August 1989. Rephotographed in June 2011. You can also create a series of such images across a single location by either collecting old images all taken at the same location or by starting your own collection of new images in a set location. These two original photographs were taken a year apart and show subtle changes in the background, such as the planting of the background left tree and the different flowers. 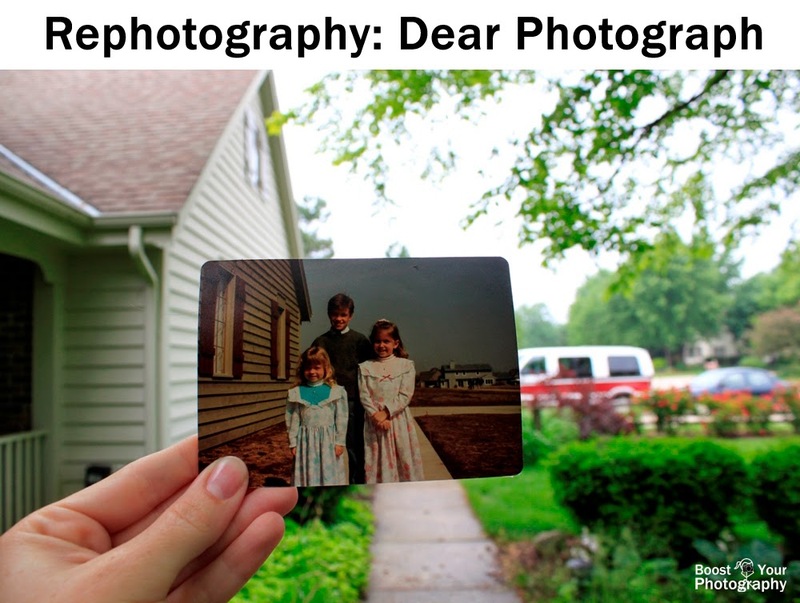 Rephotography in the style of ‘Dear Photograph’ can be a fascinating way to revisit old locations and capture a sense of change and continuity in a single photograph. While such images can take some planning, the end result is well worth the effort of scouting through old photographs.